I’m sure you are tired of hearing that the true job of the project manager is to communicate. My problem with that is this: could there be a more subjective, blurry-edged, unclear job description than to “communicate?” What does it mean? How do I know if I’m doing it correctly? How do I know if I’m doing it wrong? To help us parse through these questions and get some clarity on communication, I invited my friend Jenn Swanson for a quick chat. Jennifer Swanson has been teaching Communication and Human Relation skills since 1993 to college students entering the medical field. She is also the creator/host of the Communication Diva Podcast, which has an international audience and helps people deepen workplace and personal relationships through more effective communication. 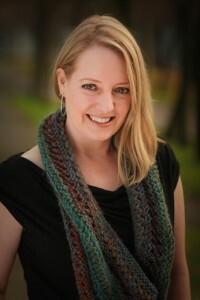 In addition to teaching young adults, Swanson is an ordained minister in the United Church of Canada, has worked in the Youth and Family Ministry, has a Master’s Degree in Public and Pastoral Leadership, and is a certified conflict coach. Jennifer and I take a step back and get to the root of what communication really is, and how to become better at it. Besides our discussion on communication, Jennifer also shared with me a lot of good information on how to stand out in your first job. 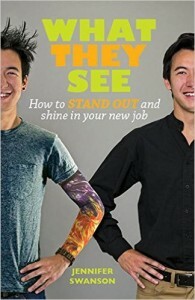 She has recently published a book on the topic, called What They See: How to stand out and shine in your new job. If you are starting or about to start a new job, this book is packed with good information that will help you make a good impression. Listen to my conversation with Jennifer by clicking the “play” button on top of this post.